As summer approaches, more people seem to become much more interested in developing their core muscles. 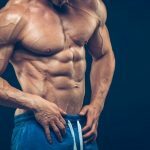 Unfortunately, they focus solely on getting a 6-pack, which then ignores the other important core muscle groups that contribute to better sports performance and spinal health. If you’re one of these people, you need to do the best core exercises that will develop all your core muscles. Why Do We Need Stronger Core? Let’s be clear on what the core muscles really are. 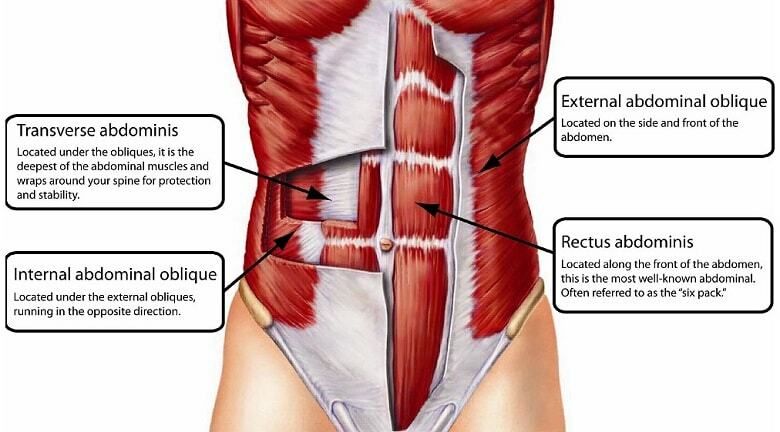 These aren’t just the muscle in your abdomen. These are the muscles in your chest all the way down to the upper thighs. Rectus abdominus. This is the muscle you develop to get that much-wanted 6-pack look. This helps you flex your trunk. External obliques. These are located at the sides of your rectus abdominus, and they also help you flex your trunk. In addition, they work to provide rotation, so you use them a lot for actions like throwing a baseball. Internal obliques. These are found right under the external obliques, running from the ribcage to the pelvis. TVA. That’s short for the transverse abdominus muscle which contributes to your stability. This surrounds your torso like an old-fashioned corset. Spinal erectors. These are found in your back. Hip flexors. These are on the front of your hips. The short answer to this question is that your core muscles enable whole body movement, and they also protect your central nervous system and internal organs. You improve your overall fitness, enhance your athletic performance, and reduce the risk of injury due to sports and workouts. You reduce the risk of back pain. If you already have this problem, then core training can relieve the pain. Your central nervous system and internal organs are better protected as you move during the whole day. Your posture improves, and this contributes to your increased self-confidence. You’ll just feel a lot better about yourself. It’s not just because you look better. It’s also because your brain becomes more efficient in receiving the messages from your body. The best core strength workout will contain core stabilizing and core strengthening exercises, and we’ve compiled a list of them that you can choose from. All of these exercises are known to train on all your core muscles, so you don’t waste time with isolation exercises. These are great for newbies, as they aren’t complicated. 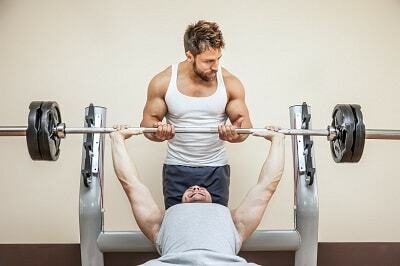 However, they can be too easy for some people, and the point of exercising is to actually challenge your muscles. Basically, this is like a standard plank except you make things more difficult by raising one foot off the ground. You need to hold this foot up while you keep your body immobile. Unlike other popular abs exercises, this one doesn’t overlook your smaller core muscles. You’re on your side with your forearm resting on the floor, while you keep your body straight and your other hand is on your hip. Again, it’s not as easy as a standard plank so you can start by trying to go for about 10 seconds at first. This is the Russian Kettlebell Challenge plank, and even powerful athletes can hold this position for only 10 to 15 seconds. You start with a standard plank position with your back straight, your chin tucked and your elbows are under your shoulders. The challenge here is you actively contract your core muscles to produce tension all through your body. Then you need to squeeze your fists while your shoulders are locked in by seemingly trying to rotate the arms outward. You need to pull your elbows in, like you’re trying to get into the pike position. You must contract your glutes and quads, while you also squeeze your legs together. Many workout experts will tell you that crunches aren’t really all that great since they can lead to injury. But these reverse crutches, as the name implies, are the opposite of a regular crunch. This exercise actually helps with your posture. If you’re a newbie you’ll probably experience some soreness at first. To do this right, you need to lie back on the floor or on a bench. Your thighs must be perpendicular to the ground. Then squeeze a foam roller between your calves and your hamstrings. Place your hands over your head, and if you’re on a bench you should hold on to the sides of the bench. Now lift your bottom off the bench with your knees over your chest, by forcefully contracting your ab muscles as hard as you can. Maintain this position for a second or two, before you carefully go down back to your original position. This is another popular alternative to more common abs exercise, as you get stronger abs without straining your lumbar spine like you would with a sit-up or a crunch. It’s also one best core strengthening exercises that gymnasts learn in the very first day of their training, as it’s instrumental in improving movements that involve your whole body. Start lying on the floor. Raise your hands over your head, like you just won a sports championship or a teammate made a difficult 3-point shot in basketball. Meanwhile, your legs should be raised off the floor while you keep them straight together. While your lower back remains flat against the floor, you need to contract your abs like you’re bracing yourself for a punch in the gut. Keep on breathing normally as you hold this position for as long as you can. This exercise at first glance seems easy, which is why so many athletes and gym rats aren’t exactly impressed. You’re on your back, and your arms are raised straight up from the floor. Your legs are also raised off the floor with your knees bent so that they’re perpendicular from the ground. You then put one arm over your head while you lower the opposite leg. This movement must be slow and controlled. Both the arm and the leg should hover just a few inches off the floor. During this exercise, you must brace your core throughout so that your back remains flush against the floor. If you find all this easy, then in all likelihood you’re doing it wrong. You start with the pushup position while you keep your core tight and your back straight. As you keep your toes on the floor, get your left knee to your chest. Then straighten the leg again as at the same time you bring the right knee up to your chest. Keep on alternating the legs. To do this right, you mustn’t bounce up and down. This will boost your endurance, and it also trains you to maintain the position of your upper body even with quick leg movements. For this you will need a bar to hold on to, which is why you may want to do this either in a gym or on a playground. It seems simple, but that’s not entirely an accurate assessment. Begin by grasping the bar with your hands, like you’re about to do a pull-up. Your arms and legs must be straight. Now keep your core tight as you raise your legs up until they’re parallel to the floor. You can then slowly return your legs to their initial position. The proper way to do this is to do the motions in a very controlled manner. You must keep from moving back and forth. If it’s too difficult for you, you can take things easier by bending your leg and raising your knees to your chest. This is actually a rather accurate name for this integrated set of core exercises, and making this part of your core strength training can help you with sports. You just need to remember to stand tall while you perform this, with your shoulders and glutes engaged and your core tight. Start by putting in a barbell in a landmine rack. Then place the amount of weight you need, though you really ought to start light at first. Stand tall and directly in front of the end of the barbell, and then raise the barbell end over your head with both your hands. Don’t let your body move in place as you move the barbell over your head in a rainbow arc pattern. Don’t rotate at the shoulders or hips, though your elbows should be slightly bent. This is simply a moving version the plank. Basically, you stand between two sets of heavy weights. These can be kettlebells, dumbbells, or even customized barbells with handles. Lift the weights, while you brace your glutes and your core. Then walk for as long or as far as you can (or for a distance or time you set for yourself) while you take small and quick steps. This may seem simple, but this can really build your core muscle fast without too much risk. Your core must remain tight with your shoulders back and down and with your back straight. When you’re done, you also can’t just drop the weights on the ground. You have to lower them carefully. 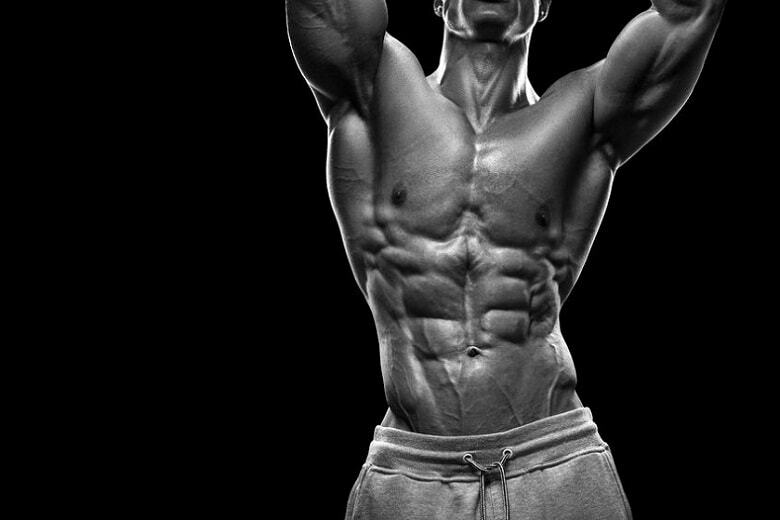 You must really keep your abs tight as you do this. Not only do you maximize the muscle work load, but you also prevent any sort of injury to your spine and lower back. The bonus is that this also works your arms, shoulders, back, and legs. This is one of the most “functionally useful” exercises on this list. Remember to tighten your core when you’re carrying luggage and grocery bags in both your arms! Kneel on the floor, preferably with a pad or a towel. Then grasp the barbell or ab wheel. Take a breath and tighten your abs, and then roll the ab wheel slowly until your upper body is parallel to the floor and your arms are over your head. Don’t let your hips touch the floor, and instead keep them elevated. Then finally roll the ab wheel back to your knees so you can return to your starting position. The key (and the main difficulty) here is to keep your back from arching. Start slow, and take your time to move the ab wheel farther out. It’s true that you shouldn’t rely on just deadlifts to build up your core muscles. However, it is also true that it’s effective in strengthening your core. During the deadlift movement, the muscles in your core work hard to deal with the heavy weight while they also maintain your spine in place. These are the best core exercises you can include in your workout, as they coordinate the upper and lower body with a stable and strong core. By stabilizing and strengthening your core muscles, you just don’t look great when you’re on the beach. You also perform better at sports and with everyday chores, while you feel better mentally as well. While I do planks, I didn’t know how effective planking could be when it comes to building the core. I’m too obsessed with the 3-point plank type and I’m adding RKC and side planking soonest. Thanks for sharing!